Online Reviews: Customer comments are below, but the best way to compare Rhino Shield to other painting contractors is to read online reviews. When considering any home improvement contractor it’s wise to check their reputation. Please check our reviews on Yelp, BBB, Angie’s List, Facebook, Google+, & Guild Quality. Also check the status of our contractors license with the State Attorney Generals Office. Taking the time to check the status of any company you’re considering better ensures quality results and your satisfaction. Home imporovement projects involve many variables and problems will sometimes occur, but it’s how a company reacts to the situation that matters. The record shows, for more than a decade Rhino Shield of New england has stood behind our warranty and product. We will never run from a problem, we work to resolve it. Customer Comments Rhino Shield applies a superior ceramic coating and employs the highest level of exterior preparation in the country. This combination produces both long lasting results and the satisfaction of our customer. The recent customer correspondence below support Rhino Shield as the Ultimate Paint Job. We are very satisfied with the quality of your work. The painters were very efficient and professional. They finished the work in time and the results were excellent. The repair work they did on our window and door frames was superb. I am thrilled with the way “this old house” turned out with the Rhino Shield painting process. My home is over 100 years old and it looks like new. The crew was courteous, very neat and totally knowledgeable with the process that makes the system work. I heard about Rhino Shield on the radio and listened and thought to myself, “sounds like it is expensive”. To my amazement, it is very inexpensive for what you get. 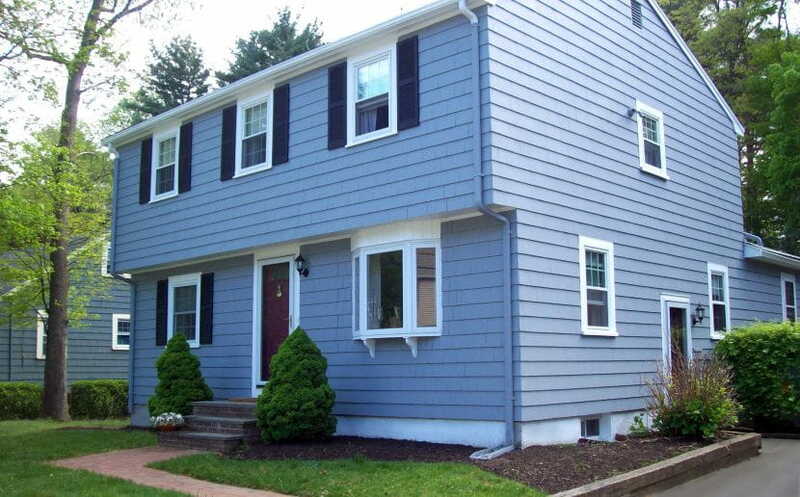 Think about this…..no maintenance for 25 years and you don’t have vinyl siding! We were very pleased with the quality of work and the employees. Work was quickly and neatly done. They were very cooperative with us regarding our requests and attention to detail. We are very happy with the outcome. Our overall experience was absolutely OUTSTANDING! The crew was on time every day and met the time frame for the completion of the project, even with one rain delay. Attention to detail was very obvious, starting from the initial preparation and caulking down to the last detail of protecting non-painted surfaces. We smile at the way our home looks each time we drive into the driveway. Please pass on our thanks to the crew! We have only good things to say about Rhino Shield. Our home looks great. These people are out to please. My wife and I could not be more pleased, our house looks fabulous! The crew was professional, courteous, efficient and obviously skilled, as the results indicate. Thank you all for a very positive experience with Rhino Shield from start to finish. The product is excellent and the foreman was fantastic. The crew left our property cleaner than they found it! Their work ethic, attention to detail and pride of workmanship has made me happy that I went with Rhino Shield. My home is ninety years old and since it’s been painted, several people have said that it looks like a “new” home again. The workmanship and professionalism displayed by the supervisor and crew was exceptional. They were extremely detail-oriented and provided an excellent explanation of the process and what should be expected. Our house is absolutely beautiful and looks like it was just built! The crew did an amazing job and they were ultimate perfectionists. The precision of the crew on the masking and painting was the absolute BEST! 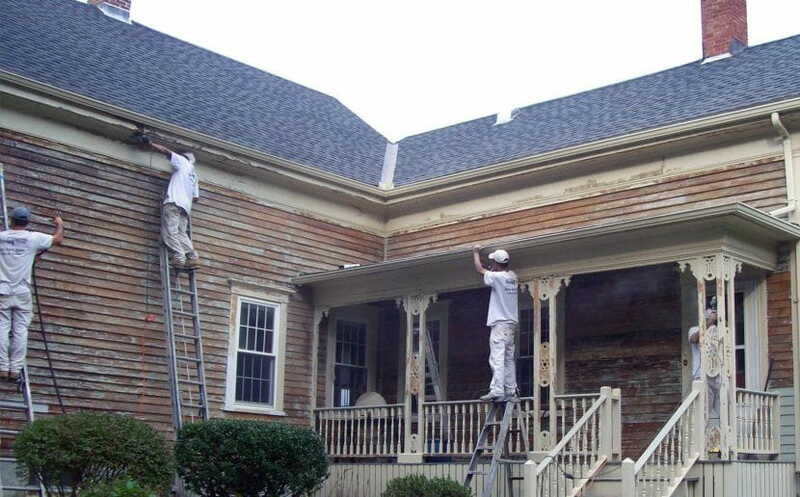 We had other contractors working on the inside of the house and every one of them made numerous remarks about how great the crew was and often would find them outside admiring the work you were doing. Our house is perfect and we owe it all to you and your employees! You guys are great! I engaged the folks at Rhino Shield after having my house painted 3 times in 5 years. The level of preparation was beyond anything I have ever seen before. Every inch of the house was brought right down to the bare wood and treated with their formula. I would recommend this to anyone who is tired of the old paint & run companies. 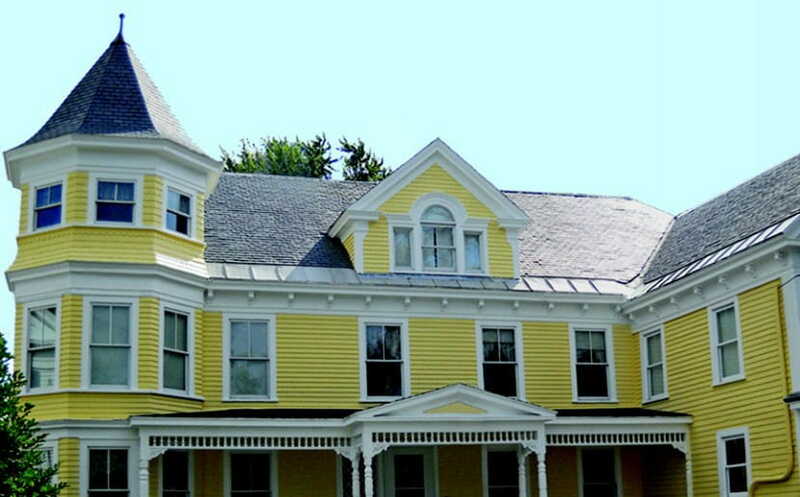 For me they are the “Gold Standard” of home paint applications. Just wanted to thank you for such an amazing job on the house. 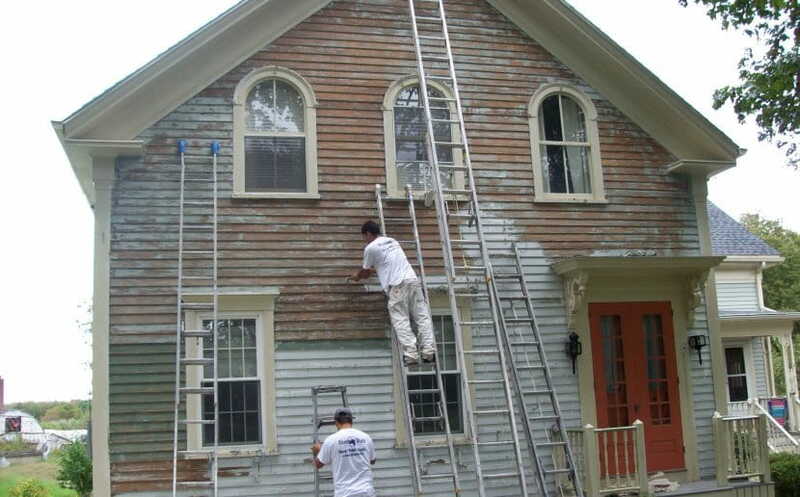 With owning an antique house, siding was not an option yet we seemed to be continually painting year after year. Your product was the perfect solution. We now have a pristine finish which will never need to be repainted. And by taking the house down to the original wood, we no longer have the scaling that plagued the exterior. The end result far exceeded my expectations. It really does look amazing. Not to mention that the team was great to work with. Junior and his crew often worked late into the evenings since this past spring provided few sunny days. Junior was always willing to spend the time with me to answer my questions and often went the extra mile to provide the finishing touches. 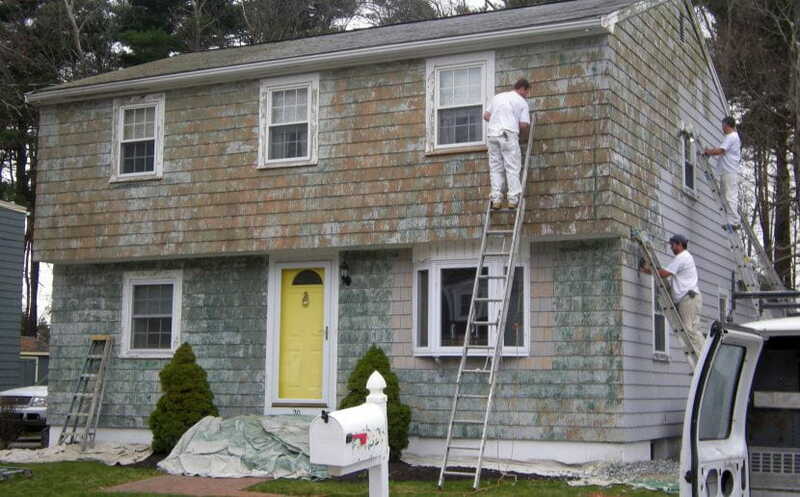 I am more than pleased with the decision we made to invest in our home with Rhino Shield of New England™ and am always recommending your company and product to anyone thinking of repainting their house. Your product not only made my home more attractive but also gave it curb appeal. My neighbors, family and friends were impressed with the detail the workmen primed and prepared the surfaces of my home. They arrived and completed the job when promised ( on time and to my satisfaction). I recieved courtesy and a sense of assurance from the office staff and work force that the finished product would be all that it turned out to be. I am positive that I will enjoy my home for years to come secure in the knowledge that I have improved the appearance as well as the resell value. Thank you for a great and well done job. Our Rhino Shield of New England™ painting experience was excellent. 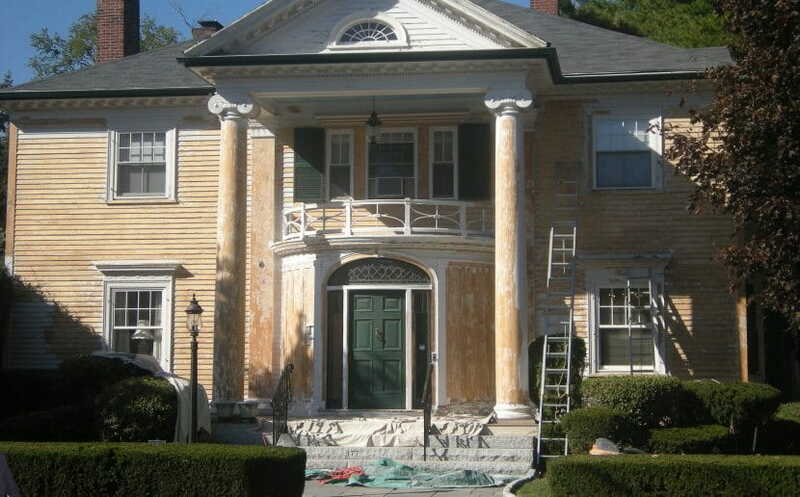 Ther prep team showed up when promised and was very thorough in accomplishing the difficult task of preparing the house for Rhino Shield of New England™’s product application. 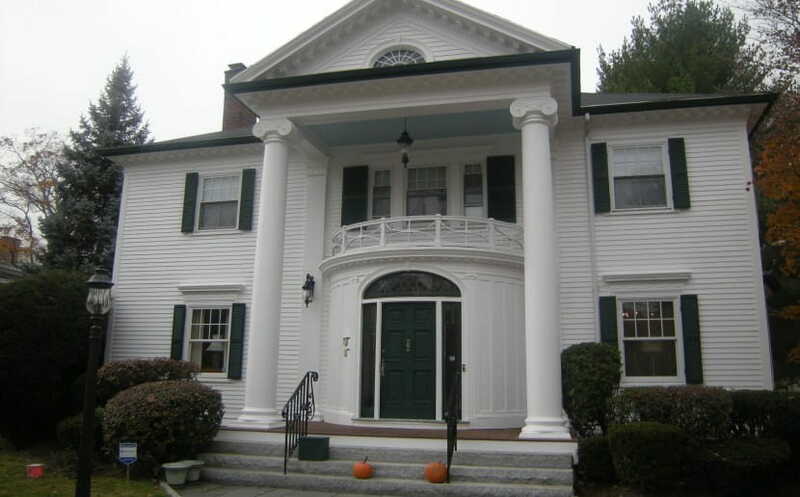 Our home is on the National Historic Register, it was built in 1791. It’s a beautiul old Georgian Colonial with over 30 windows and dentile work associated with that style of architecture so the prep work was critical. This was accomplished over an extended period ( the whole job took approximately a month). The site was visited several times by one of Rhino Shield of New England™’s owners who were checking on quality control. Decisions regarding primer and prep were made only after these reviews. The site was also clean as could be reasonably expected at the end of each day and completely cleaned to our satisfaction at the end of the job. durable as advertised but only time will tell on that score. I was very concerned regarding “breathability” of the applied material but that also appears to be advertised ( especially since this “This Old House” is a customer). And it absolutely looks and feels like normal paint. The house looks wonderful. Bottom line: we definitely recommend Rhino Shield of New England™ to anyone considering a permanent paint soultion. a “non-pushy” way which allowed me to make a good decision to have the house painted with Rhino Shield.I have had several people stop by and tell me that my home looks really good with the Rhino Shield syetm. The painters were very efficient and neat and did a really great job on sprucing up my home. Overall, I am very pleased with choosing your company and would certainly recommend to anyone to use Rhino Shield’s paint coating solution instead of traditonal painting. 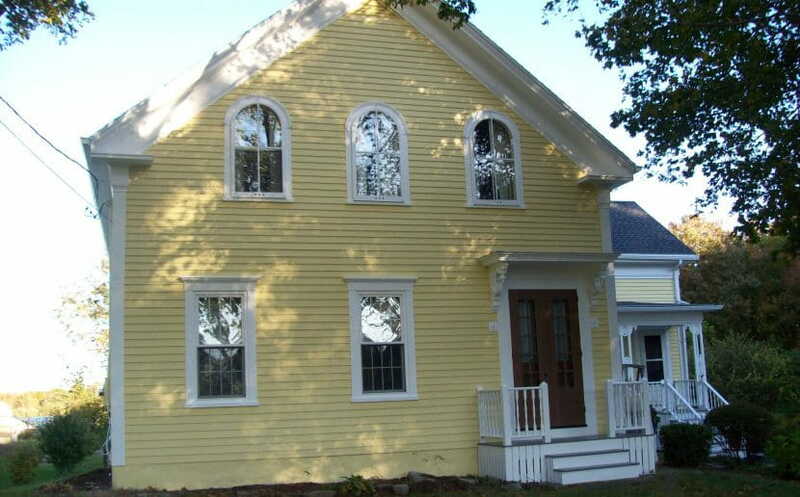 I engaged the folks at Rhino Shield of New England™ after having my house painted 3 times in 5 years before they came on the scene, and numerous touch ups. The level of preparation was beyond anything I have ever seen before. The preparation took 80% of the time and the paint application about 20%. Every inch of the hose was brought right down to the bare wood and treated with there formula. I would recommend this to anyone who is tired of the old paint and run companies. 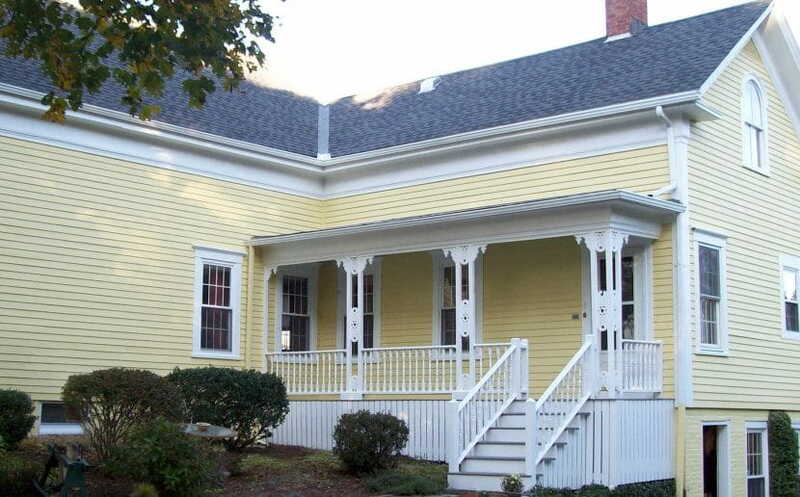 For me Rhino Shield of New England™ are the “Gold Standard” of home paint applications. Let me start by saying that Rhino Shield of New England™ has an amazing product. I had the ability to watch the progress that the professional crew did on my home. I cannot say enough about the coordination and machine like work about your crew. They worked tirelessly without conflict and the results were beyond my expectations. 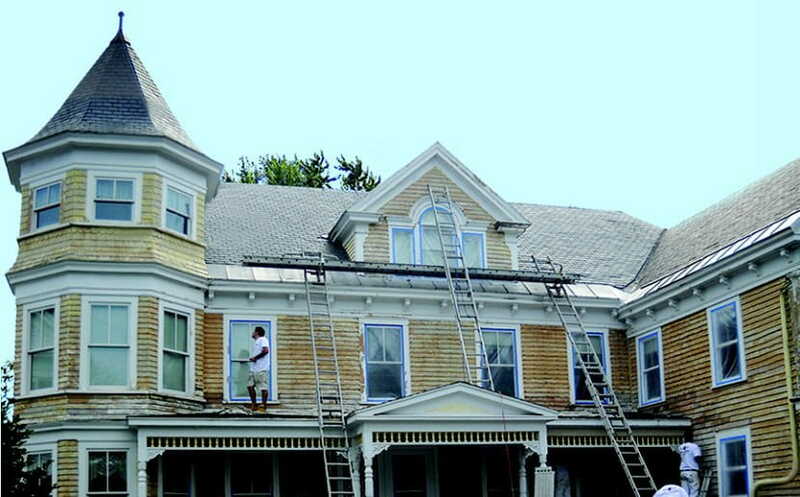 Each one of the workers knew their jobs and carried it out efficiently and you can see the results on the house. I would hire them again and would without hesitation recommend Rhino Shield of New England™ to family or most trusted friend. It is truly a pleasure to meet and conduct a business transaction with Rhino Shield of New England™. From the initial meeting to present Rhino Shield of New England™ have conducted themselves with the highest professonalism and confidence. I wish you and your company great success.